Michael Tsan is a New York-based partner who co-leads Dalberg's global Energy and Technology practices and also serves as an advisor and liaison to Dalberg Data Insights, Dalberg’s big data analytics business. Michael works extensively at the intersection of inclusive energy access business models, government renewable energy policy, and financial innovation for energy access. Michael’s expertise spans off-grid renewable energy (picoPV and SHS), mini-grids, off-grid productive use appliances, and clean cooking fuels and stoves (LPG/ethanol/pellets), with a particular focus in recent years on PAYG distribution and financing models. As part of his work Michael advises many of the leading donors, DFIs, NGOs, multi-nationals, and investors (PE/VC/impact) in the off-grid energy sector and serves as an advisor to the management teams of several of the sector’s leading social enterprises. 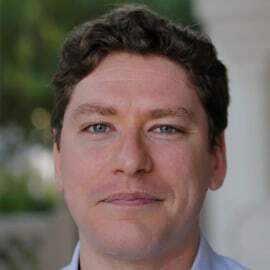 Over the past 8 years, Michael has also served as the lead author or co-author/advisor on many of Dalberg’s energy sector publications, including the WB/IFC and GOGLA off-grid lighting reports (2011, 2013, 2018). Prior to Dalberg Michael spent six years with McKinsey & Company with a focus on financial services, telecoms, and energy sectors. Michael earned a J.D. from Yale Law School with a focus on International Law and Development Economics where he was an Olin Scholar in Law, Economics, and Public Policy. He also received a mini-MBA from Tuck Business School at Dartmouth, and a BA in Economics and History from Swarthmore College.